In my experience, Jeremy King is unsurpassed as a trusted partner in the national security executive search and recruiting space. He combines his deep knowledge of the security terrain — both in the government and private sector — with a well-deserved reputation for integrity to serve his clients and countless friends, many of whom served as high-ranking military and intelligence officials. Over the years, Jeremy has built an extensive network of appreciative clients and loyal colleagues, who continue to seek Jeremy’s advice as the professional landscape continues to evolve. Mr. Olsen is President of IronNet Cybersecurity and is responsible for leading their consulting services, providing strategic and operational guidance to companies on cybersecurity and cyber threats, and helping to guide IronNet’s business development. Mr. Olsen has worked for over two decades as a top government official on national security, intelligence and law enforcement issues. Appointed by the President to serve as the Director of the National Counterterrorism Center (NCTC), Mr. Olsen led the government’s efforts to integrate and analyze terrorism information and coordinate counterterrorism activities for three years. 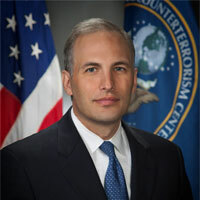 Prior to joining NCTC, Mr. Olsen was the General Counsel for the National Security Agency. Mr. Olsen also served at the Department of Justice in a number of leadership positions, responsible for national security and criminal cases, and for over a decade as a federal prosecutor. Mr. Olsen also served as Special Counsel to the Director of the Federal Bureau of Investigation. In addition to his work with IronNet Cybersecurity, Mr. Olsen is a lecturer at Harvard Law School and a national security analyst for ABC News. Mr. Olsen graduated from the University of Virginia and Harvard Law School. I have worked with Jeremy King many times over the past five years and have found the firm to be very dependable, knowledgeable and quick-moving. They are able to get the right candidates to the table in a short time rame, and work cooperatively with management and the Board to make sure only the best candidates are taken through the process. I would without a doubt use them again.